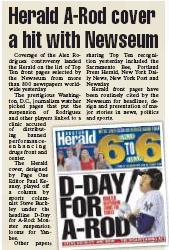 Well our feisty local tabloid won another big award yesterday – a coveted Top Ten Front Pages nod from the Newseum’s Today’s Front Pages. Today is the day that Major League Baseball is expected to suspend 10 players for their ties to a Florida anti-aging clinic. 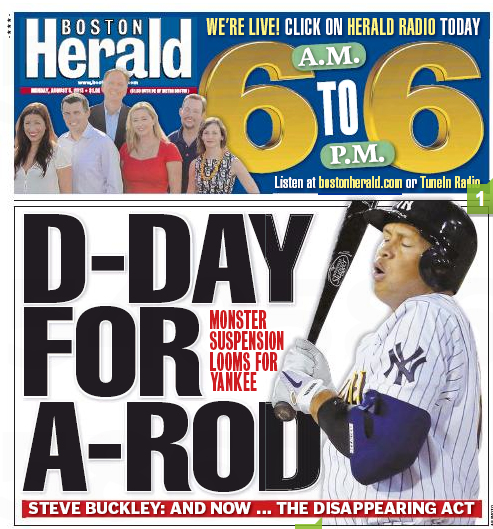 The biggest catch among them: New York Yankees third baseman Alex Rodriguez, who could be suspended through 2014. Some of the front pages in today’s Top Ten have already passed judgment. 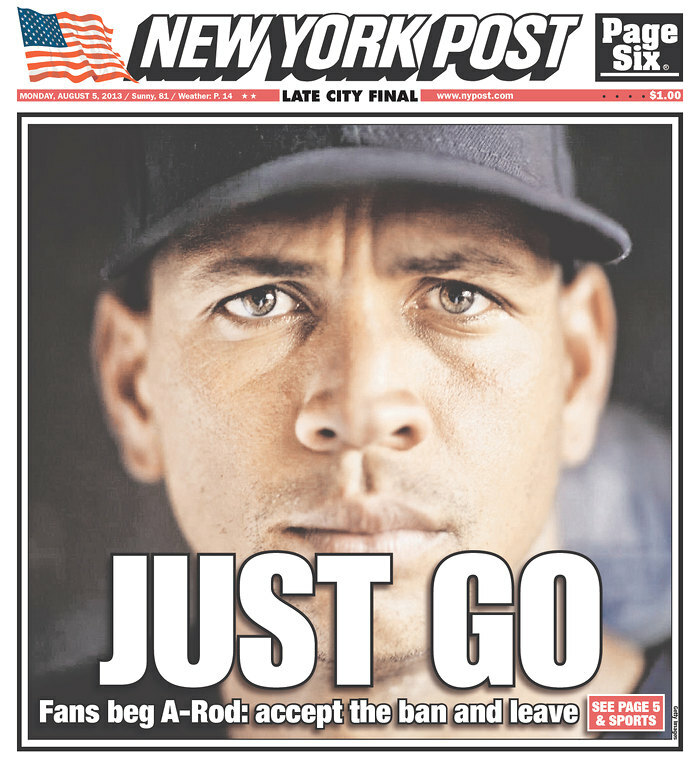 Don’t hold back, New York Post. Don’t hold back. Their Moms must be so proud. This entry was posted on Tuesday, August 6th, 2013 at 2:56 pm and is filed under Uncategorized. You can follow any responses to this entry through the RSS 2.0 feed. You can leave a response, or trackback from your own site.